One site visitor recently asked the following. I have a Hampton Bay Bercello Estates Ceiling Fan, and I lost my remote. How can I find a replacement remote? Which model number should I buy? support forum, where you can post a question and get an answer. 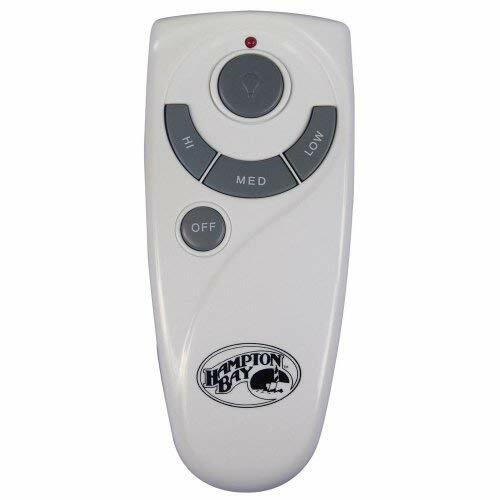 Often times, the easiest route is to purchase a Hampton Bay universal remote control. 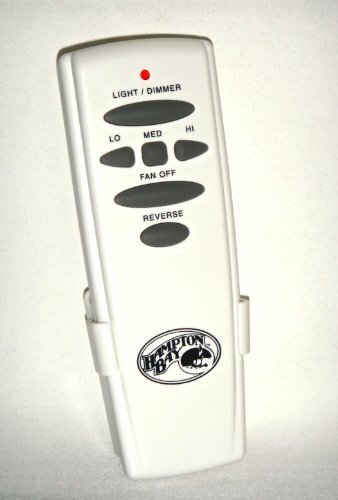 The universal remote will likely work with this fan, as it works with most fans that are Hampton Bay. This is generally the easiest, most cost efficient way to get a replacement remote. If you are going to search for the exact remote that goes with the fan, it’s likely this will be a bit of a headache for you! 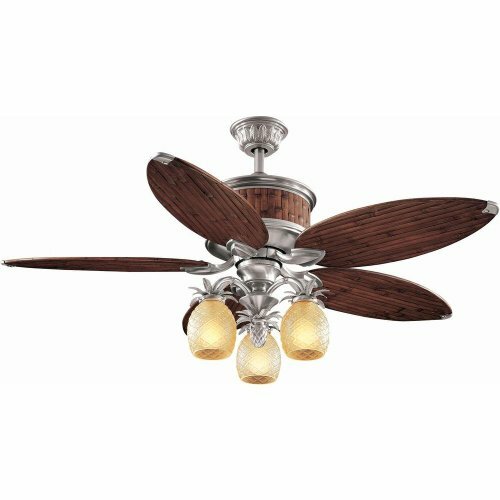 A larger ceiling fan, this Hampton Bay Altura ceiling fan spans 68″ in terms of the fan blades. That’s pretty big. Most fans are all smaller than 60″ in terms of blade span, so this fan is quite large. A nice thing about this fan is, even though it’s a larger fan – and will move significantly more air than other fans – it’s still relatively inexpensive. At $199, this ceiling fan tends to be even less expensive than many of it’s smaller counterparts. 68 inches). The fan is constructed of wood and has a bronze finish. One site visitor asked: Do you know where I can find a light fixture for the Hampton Bay Altura 68″ Ceiling Fan? phone number or community support forums for this. A Hugger Hampton Bay Ceiling Fan is useful when you don’t have enough space in the room. So for instance, you have a really short ceiling. Typically, a ceiling fan is mounted with a downrod. This means the fan hangs from the ceiling. However, if your ceiling is short and you’d like to save on ceiling space, than a hugger fan will work for you. A hugger fan is also called a “flushmount” fan because it mounts flush to the ceiling. You do not need any downrod to mount it. Some fans are “dual-mount,” this means that they will mount to the ceiling via either a downrod or flushmount both. Dual mount fans are useful if you need to uninstall and remount a fan elsewhere after purchasing. I bought this for myself, but when my tenant mentioned she needed a ceiling fan, I installed in in her bedroom . It was easy to do and it made a big difference in the ambient air comfort. The 5 blades move smoothly and silently. I thought about getting the standard 4 blade fan but I think I’ll order another couple of these. Plus the light is a flat bowl instead of the super lame fish bowl style, so it takes up less of your field of vision, and looks nicer, less cheap looking. I’m heading over to Home Depot to get more of these since Amazon’s supplier is out for now. I’ve put up another one of these, with the help of my wonderful BF. It installs very easily, and was a snap to put up ( easier the second time of course) One thing to note during installation:the screws that hold on the outer motor cover are hard to unscrew. what makes it worse is that the instructions don’t tell you to loosen them till the motor brace is already up and installed so you have to try to loosen them while standing on a ladder. Worse yet, the screws are soft metal so it is very easy to strip. My recommendation: loosen the screws on the metal brace before attaching it to the fan box, you will be relieved later, and will say fewer foul words if you do this earlier than later. Still enjoying the nice, smooth, quiet breeze. I love this fan and will be installing at least one more this summer. I just realized that I never left a Seller feedback for the company. It’s too late to do it formally, so I thought I’d just add it here. Um, I’d give them 5 stars for speed of delivery, the package arrived in good time, I was contacted by the seller, and it was a pleasant exchange, the product was nicely packaged, no damage to the box or the contents. I have to say that I would have bought another one from them if they had had any more in stock. That’s all!